New Delhi, Aug 16 (IANS) He was a man of moderation in a fraternity of jingoistic nationalists; a peace visionary in a region riven by religious animosity; and a man who believed in India’s destiny and was ready to fight for it. The lowest point in his career came when he lost the 1984 Lok Sabha polls, that too from his birthplace Gwalior, after Rajiv Gandhi won an overwhelming majority following his mother Indira Gandhi’s assassination. And the BJP he led ended up with just two seats in the 545-member Lok Sabha, in what looked like the end of the road for the right-wing party. In no time, Vajpayee was replaced and “eclipsed” by his long-time friend L.K. Advani. 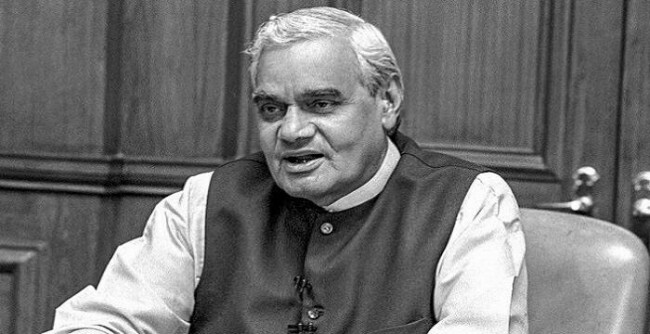 A day before his party lost power, Vajpayee was quoted as saying in a television interview that if and when he stepped down he would like to devote his time to writing and poetry. But fate ruled otherwise. The man who once rued that “I have waited too long to be Prime Minister” found his last days in a world far removed from the adulation and attention — though across the nation people prayed for his well-being — surrounded only by care-givers and close family whom he even failed to recognise.